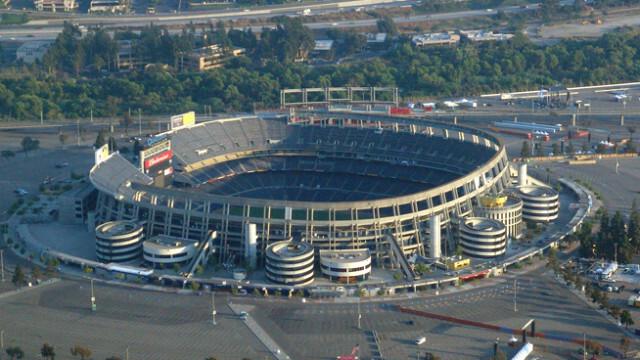 SDCCU Stadium in Mission Valley was added to the 30th annual list of the top 10 endangered landmarks and cultural landscapes in San Diego released Tuesday by the Save Our Heritage Organisation. SOHO called the facility — known until recently as Qualcomm Stadium — “one of the few mid-century designed, multi-purpose stadiums” to remain standing in the United States. While current proposals for the site include knocking the stadium down, SOHO urged city leaders to adapt the structure for future uses like college football or soccer games. SOHO, which advocates for maintaining San Diego’s historical buildings and sites, as well as unique architectural styles, also criticized the city for continuing to ignore Presidio Park, which it described as “a decaying and unkempt embarrassment,” and Balboa Park, where many of the major buildings are behind in their maintenance needs. — the Red Roost and Red Rest Bungalows in La Jolla, 1894 redwood beach cottages that overlook La Jolla Cove. The stadium, Granger Music Hall and SWC gym are new to the list this year.